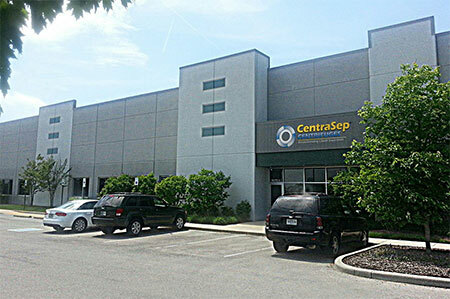 CentraSep Centrifuges began in 1981 as a filtration products distribution company. Over time we became the largest distributor and installer for a line of centrifuges. Through the years, we saw the strengths and weaknesses in that centrifuge. We listened to customer challenges and their requirements concerning filtration and maintenance of process fluids. Centrifuges had a poor reputation in the market. They were unreliable due to their mechanical complexity. Our engineers, utilizing that knowledge and a unique concept, designed a new centrifuge that eliminated the mechanical complexity, adding robustness, while making the centrifuge stronger and more efficient. The resulting product, “CentraSep,” was born. This proprietary design is protected by patents worldwide and has been successfully proven in the most demanding applications, with hundreds of installations in 18 countries, and on ships and drilling rigs on multiple bodies of water. For more than 30 years, we’ve specialized in environmental products and fluid filtration processes, solving problems through application engineering that answer our customers’ challenges with innovative solutions and techniques. Our CentraSep design is the gold standard for liquid/solid separating centrifuges. At CentraSep Centrifuges, we think the way we do business is every bit as important as the business we do. In addition to our unsurpassed expertise, our philosophy of business also sets us apart. We’re committed to providing the best solution for our customers. Often, our CentraSep unit is the most reliable, economical, environmentally friendly and efficient solution. But, if our CentraSep unit is not the best solution for your application, we’ll tell you-and we’ll also tell you what is. In fact, we won’t sell you a CentraSep unless we are convinced it is the best solution for your company’s fluid filtration needs.